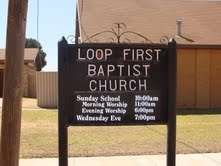 When Pastor James Shelton, first arrived at Loop Baptist Church, he was shocked that the church did not have a Youth Ministry. He deep down knew that the community would enjoy some of the perks that other churches offer their youth like youth camp, mission trips, and other youth activities. But since the church is located in a small farming area, it is hard to fund such events. Then along came Popcorn Palace’s fundraising program. This makes the third year of being able to take the kids to youth camp and the first year on being able to include mission trips.